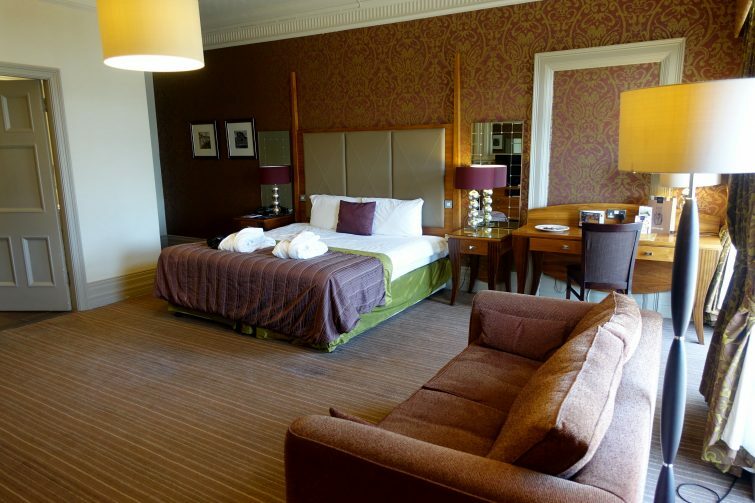 The Majestic Hotel, Harrogate certainly lives up to its name in terms of size and stature. 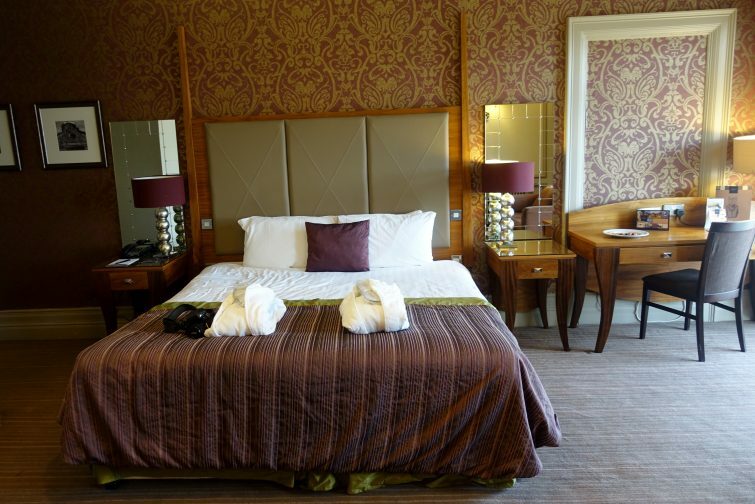 This 170 bedroom Victorian hotel sits on the hillside on the edge of the town centre, perfectly placed for a spot of afternoon tea, a wander around the shops or cocktails in nearby bars. Although I was born in Harrogate and still have family there, it isn’t somewhere we tend to visit with any regularity and as such Dave hadn’t actually been into the town centre before. 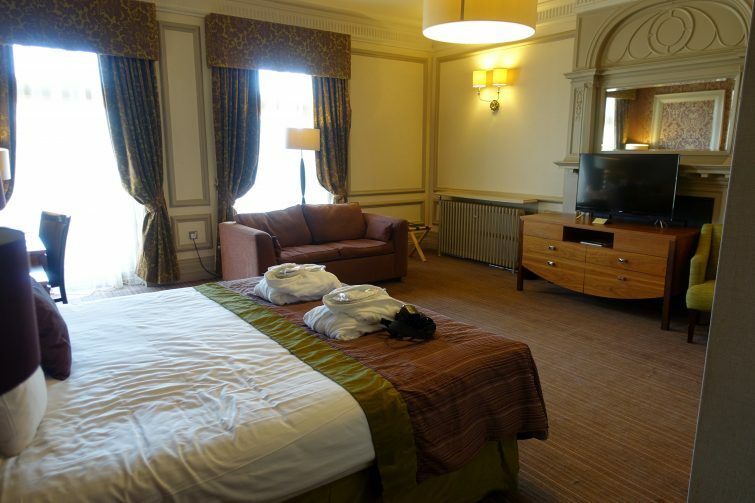 Being relatively close to York it made perfect sense to book a night away in Harrogate as we could drop the kids off with Mum & Dad and head over to Harrogate early doors and make the most of our time away. What’s the shopping like in Harrogate? Harrogate is a quaint spa town in North Yorkshire, it really isn’t somewhere I would suggest going if you’re in the mood for a shopping spree – if you’re looking for big shops and variety you’d be as well going to Leeds. However for a nice wander and a little bit of a potter around, it’s a lovely place to be. As we’d done quite a bit of shopping in Birmingham the weekend before, we really weren’t bothered about the shops this time – this was more about quality time together, just the two of us. 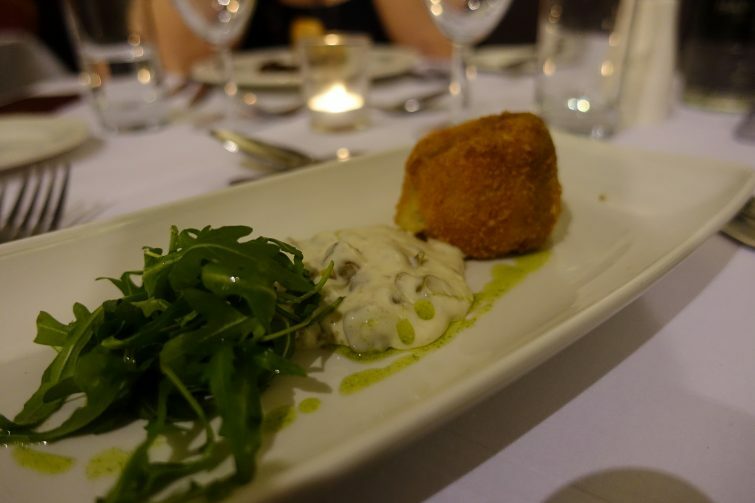 Betty’s is a must-visit in Harrogate! 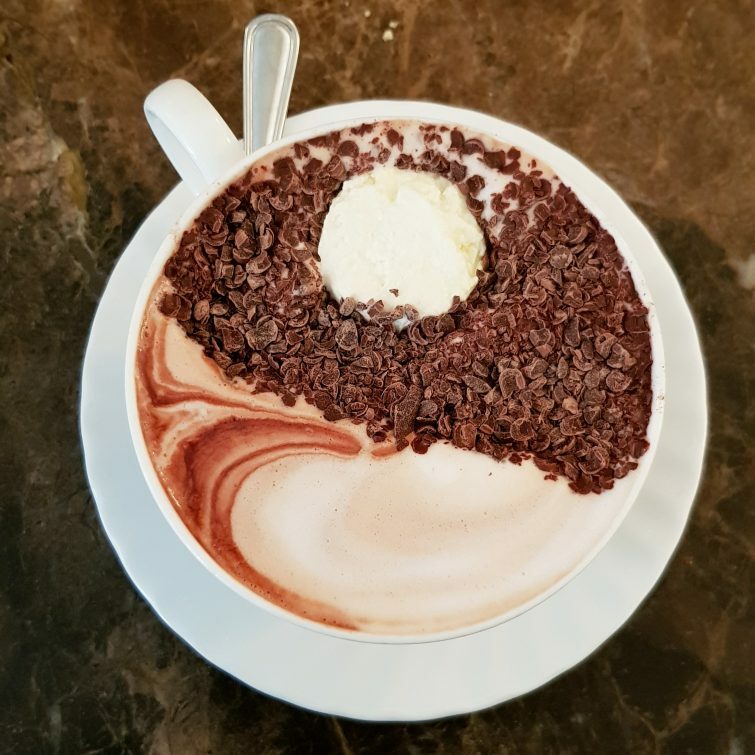 We intentionally arrived in Harrogate some time before check in and made our way straight to Bettys to treat ourselves to afternoon tea and quite possibly the best hot chocolate I’ve had in years! 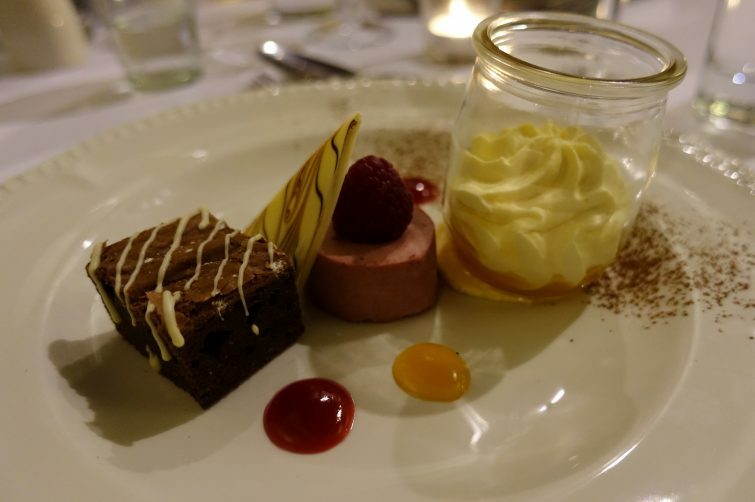 Once we’d enjoyed our afternoon tea we made our way up to The Majestic Hotel – the parking on site is limited and initially I thought we weren’t going to be able to find a space but luckily we found a spot. It’s worth mentioning that parking is an additional cost and payable on departure – whilst this is made clear on the hotel website I have seen several people since commenting that they hadn’t been made aware of this until they were leaving and had therefore been understandably disgruntled. As we arrived shortly after check-in began, the hotel reception was busy but we didn’t wait long to be served. The gentleman who dealt with us was polite and efficient, managing to ignore the irate customer next to us who was complaining loudly to another member of staff that she didn’t like her room. This made for a bit of an uncomfortable welcome but I was impressed with the calm way that the gentleman on reception tried to handle her complaint. We made our way up to our “Deluxe Garden View” room – the most spacious and luxurious room on offer at The Majestic Hotel. 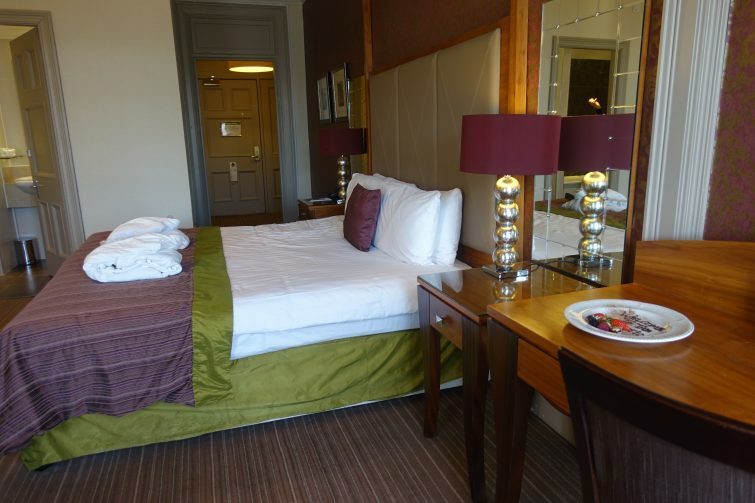 The main bonus of this is the most enormous double bed and a view of the gardens. If I’m honest I wouldn’t have been bothered about the view of the gardens – particularly in February where there’s not really a lot to see! The room has huge windows which are covered with net curtains and although there is a balcony you can’t open the window anyway so the garden view felt a little wasted. The bed on the other hand? Well that was enormous and super comfortable and frankly that’s the most important detail to me when I’m booking a night away! 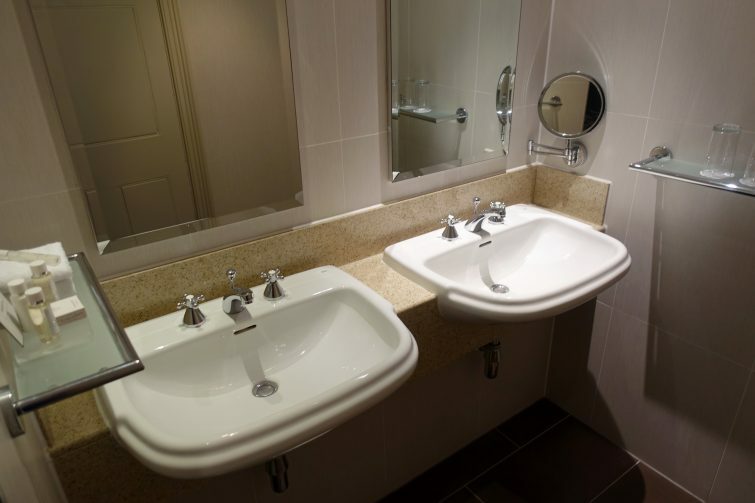 The en-suite was long and narrow, featuring twin sinks with complimentary White Company products and two enormous mirrors which was useful for putting my make up on as there wasn’t actually a mirror in the room itself. Once we had settled into our room we made our way down the the “fully equipped Spa and Health Club” to try out the gym and swimming pool. Now if I’m honest this was a little disappointing. 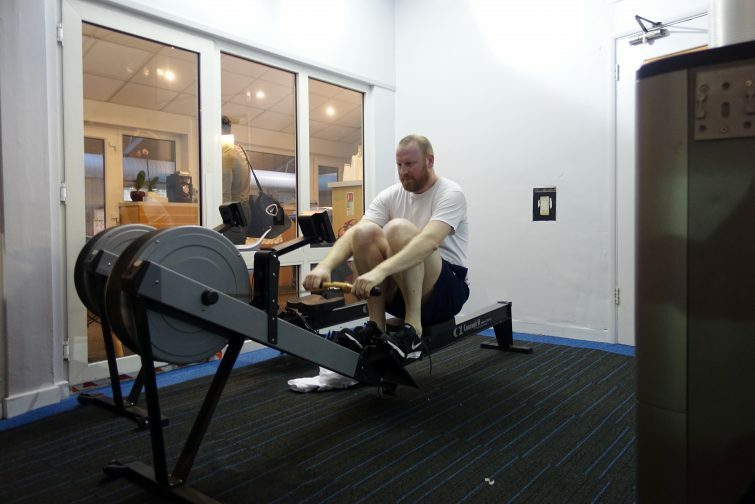 The gym, whilst offering all the basics you would need for a quick workout – treadmills, bikes, rowing machines, some weights etc – just felt a little tired and cramped. It was fine and perfectly serviceable for our needs – but I didn’t feel that it lived up to the promise of a “state of the art fitness suite“. We followed up our short workout with a swim. When we first got in the pool there were a couple of families with young children but they soon got out – children are allowed in the pool at set times during the day presumably to allow for maintaining a “relaxing” environment for spa guests. Unfortunately the young children were far better behaved than a small group of young adults who were behaving like they were on an 18-30 holiday – shouting, splashing and harassing other guests (to the point that one guest came back out of the changing room to speak to them about their behaviour, apparently they had thrown a towel over him!) The staff working in the pool area tried to speak to the lads and ask them to tone it down but they responded aggressively and carried on as they were. This was obviously really uncomfortable for other guests and we soon decided to just go and get changed. I chatted to another lady in the changing room who told me she’s been using The Majestic Hotel leisure facilities for years and had never experienced anything like that before which I was pleased to hear! As part of our package we had dinner booked in the hotel restaurant for 8pm. The grand dining room had a very formal feel to it but with so many guests to feed in such a large dining space it felt a little impersonal and like we were just an on a bit of a conveyor belt. 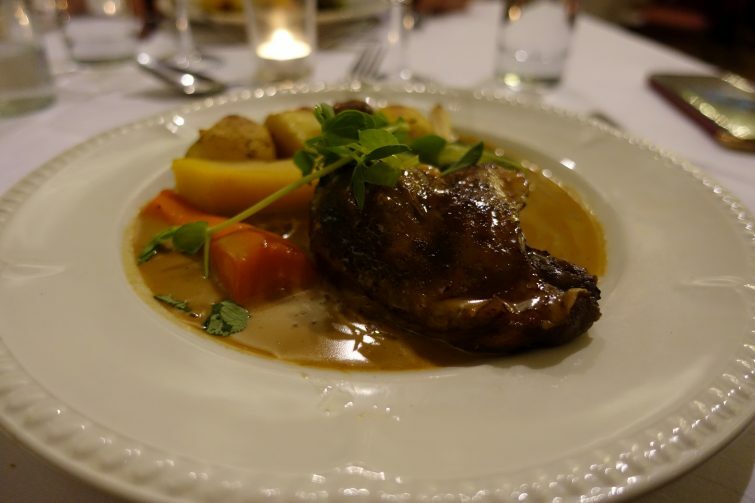 We were given a fairly limited menu to choose from – I’m not sure if this was specific to the dinner, bed and breakfast package or if that was the menu available to all guests. It was very traditional as was befitting of a very traditional hotel and whilst probably not what Dave and I would have chosen, we enjoyed our meal. The waiting staff seemed to be either super efficient or a bit clueless – Dave was given a flat pint, I was brought the wrong gin with the wrong mixer – but this was dealt with quickly and apologetically so really wasn’t a big deal – I think some of the staff were just lacking in experience. After dinner we took a walk down into town to enjoy some cocktails before making our way up to bed relatively early. We both slept really well – the hotel room was dark and we didn’t hear anything of the other guests which I think is always a bonus! There’s nothing worse than being disturbed by people being drunk and rowdy when all you really want is a good kip! Breakfast the following morning was a self-service buffet which I’m always more than happy with. There are notices up in the lifts indicating peak times for breakfast and warning that there may be queues. Of course some queues are to be expected with so many mouths to feed and we knew that rocking up at peak time on a Sunday morning might mean a bit of a wait. We were seated quickly but did have to join a long queue for the buffet – that said, it moved quickly and did mean that the buffet turnover was quick so the food was hot and being restocked regularly. Filled up on full English breakfast and some pastries, we packed up and checked out with minimal fuss and made our way back to York to see the kids! 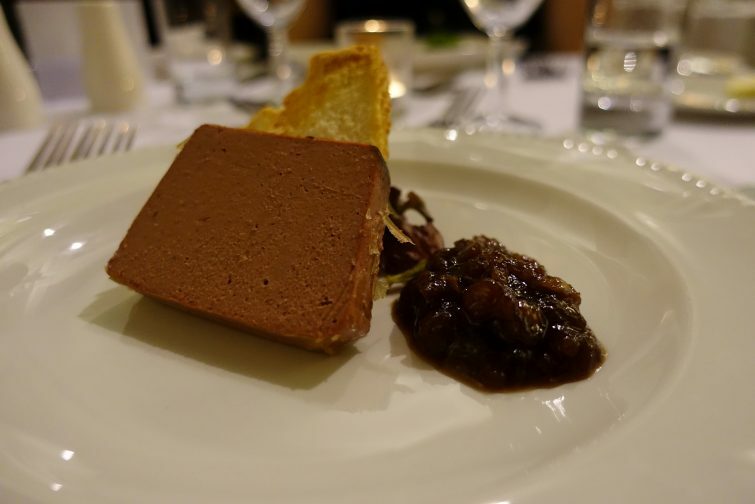 Despite our disappointment with the leisure facilities, we really liked The Majestic Hotel – yes it’s a little tired in places but that adds to it’s charm. 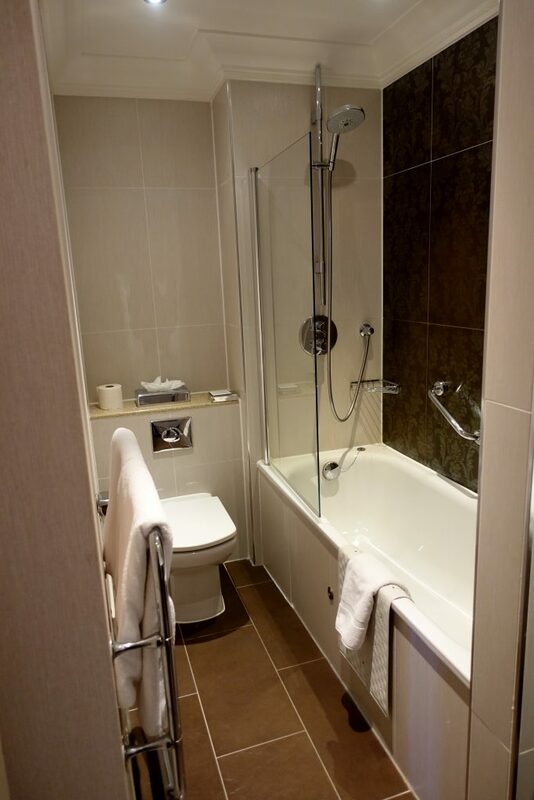 If you want super modern, then you don’t book a grand Victorian property. 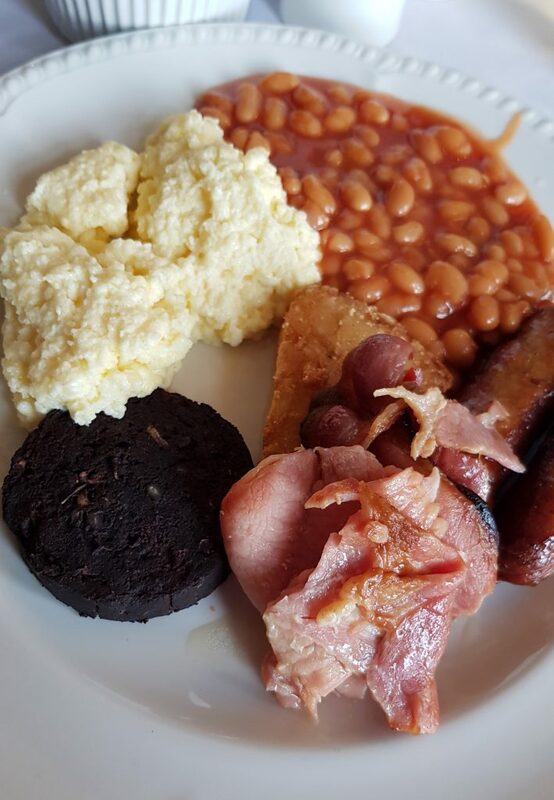 The staff were really lovely and helpful and whilst we probably wouldn’t have dinner in the hotel if we were to book again the breakfast was spot on. 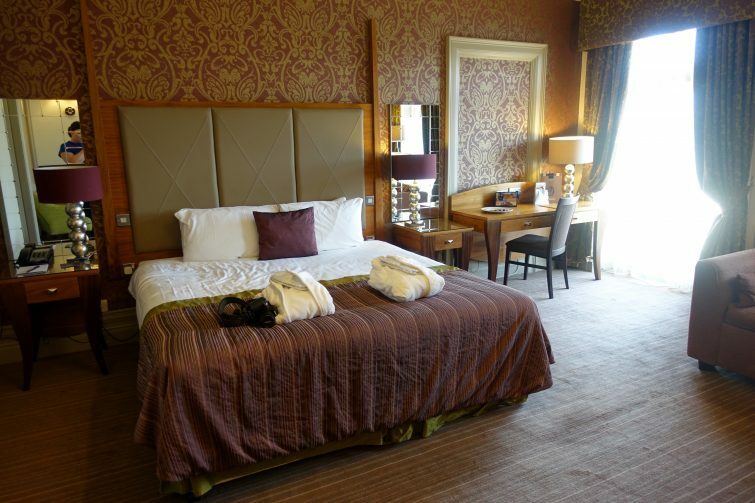 The dinner, bed and breakfast package represents great value starting at £129 per room. Yes, there is little you can do about the other guests and thankfully it was only a tiny minority – we certainly didn’t encounter any other issues over the weekend. Wow this place looks amazing those rooms are huge! And the food looks very yummy! I’d love to go to the famous Betty’s! Your room looks lovely and the deal looks like a good price even if you had a few niggles. I’d love to go to Betty’s. Your room looks lovely and not a bad price despite the niggles. Wow! 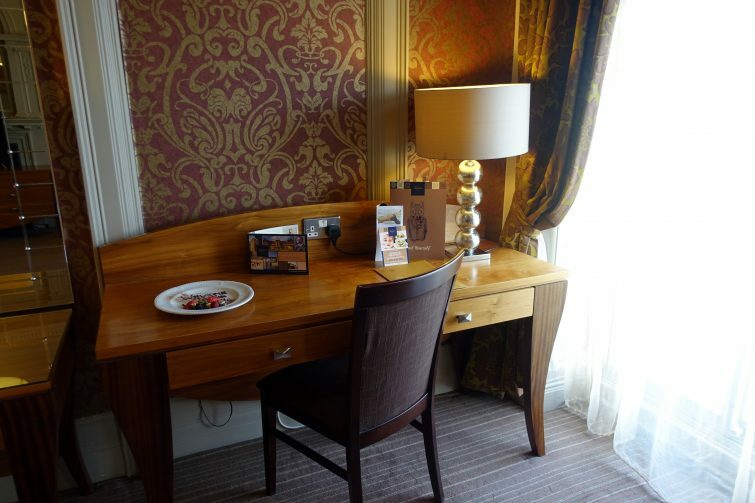 That room looks gorgeous :o) I love Harrogate and a trip to Betty’s is a must! !